Back in the summer of 1990 Andrew was working for – oddly enough – Dr. Peter Richardson. The other one in Kingston. Not my dad in Toronto. After we accidentally killed his forsythia bush, he invited us for dinner. Not sure why. I suppose because he was a magnanimous kind of guy and we were young and foolish. 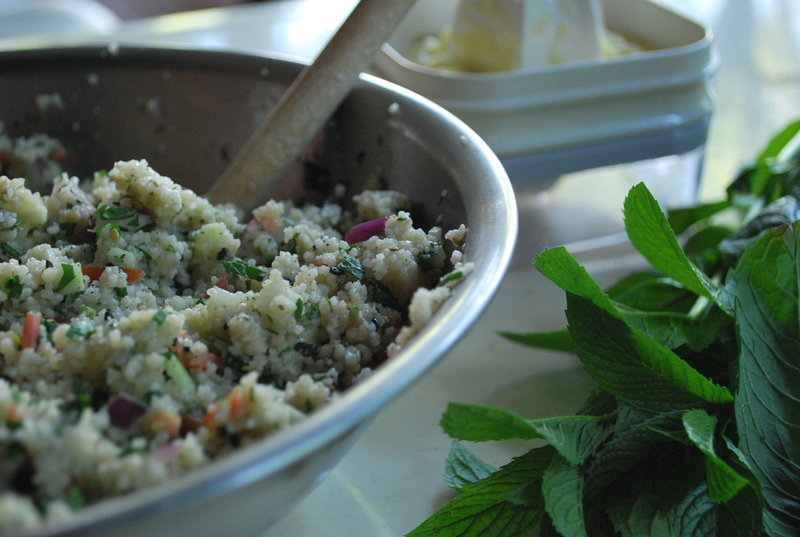 He served us this tabbouleh. The very one. We loved it then. We love it now. Although whenever we eat it we think of that poor plant. Try it with the roasted fennel and tomatoes. Awesome combo. P.S. Did you know Tabbūle is a Levantine Arabic word meaning literally “little spicy.” Originally from the mountains of Syria and Lebanon, a Turkish variation of the dish is known as kısır, while a similar Armenian dish is known as eetch. In Cyprus, where the dish was introduced by the Lebanese, it is known as tambouli. After cooking couscous or bulgur, let it sit and cool. Once cool, mix with all other ingredients. Let it sit again so the flavours meld. Serve and enjoy.